Because, ummm, well, just because, I’ve decided to post something every day in March. Yeah, I know, it’s obtuse, everyone else does Just Jot it January or The A-Z Challenge and I choose, at nine o’clock at night on the first of March, to inflict a month’s worth of posts on myself (and you) for no good reason whatsoever. Or any plan, either, as per usual. So there’s no telling what you’ll get, knowing me you’ll end up getting some random weird photo each day, but I’ll try to keep it more varied than that. Although not today, today is audio visual day, partly made up of weird photos, most of which you may recall seeing recently in my Twin Peaks related post and now complied, to music, in a fancy video. Followed by the rather more frenetic, yet somehow hypnotic creation that is the video I made for the last tune that came out when I noodled with Oscilab, my loop making/oscillator app. I made the video using the “visualization” mode on my Poweramp music player, installed on my old tablet. Placing my phone on a sheet of glass above the tablet, which sat at the bottom of a black box, I filmed the wave patterns that resulted from playing Thudd through it. I treated the raw footage with a couple of filters, re-synched the edited video with the original tune and, voilà, my eye-scrambling masterpiece is complete. First off, then, is; Wool, Knit With Me by The Woolhouse Boys. The music is Diane Dreams (The nightingale remix) and is performed by The Deathless. And now, brace yourselves, it’s time for Thudd, by me. See you tomorrow, for, eerrr, something else. I’m always interested in discovering the new sounds I can produce with Oscilab, the sequencer and loop making app, so with variety in mind, my latest audio creation is a far heavier affair. Starting off with a grimy, distorted throb, it fades into a thundering bass line, backed by a thumping back beat and a frenetic staccato rhythm of synths, which I have christened Thudd. I’m going to stick my neck out and say it’s my favourite attempt at “music” yet, I’d be intrigued to know what you think. Click the beautiful artwork below, to listen and download for free. Turn up the volume and feel that bass. Last week I spent a day mucking around with my loop and sequencing app, Oscilab; one of the few ways a non-melodic numpty such as myself can achieve anything even approaching a sound that could be loosely described as “music”. This time, I was attempting to create something a little more soothing than many of my sonic experiments, something more than ambient, but without the clattering, frenetic rhythms which are often the result of me inexpertly twiddling knobs and pressing interesting buttons. Now don’t get me wrong, I’m just as inordinately proud of this entry in my peculiar oeuvre as any other, but there was something that nagged at me when I heard it back for the first time; namely, the slightly discordant tone of the ring modulator in the background. I think you’ll agree that this reimagined aural soundscape is an altogether smoother affair, (it is Rhonda’s favourite version, so that’s one reason to be pleased with it) but to me, it felt as though there was now missing something. And please feel FREE to download any or all of the above tunes from Bandcamp, gratis, complimentary and totally FREE of charge, should any of them tickle your audio fancy. 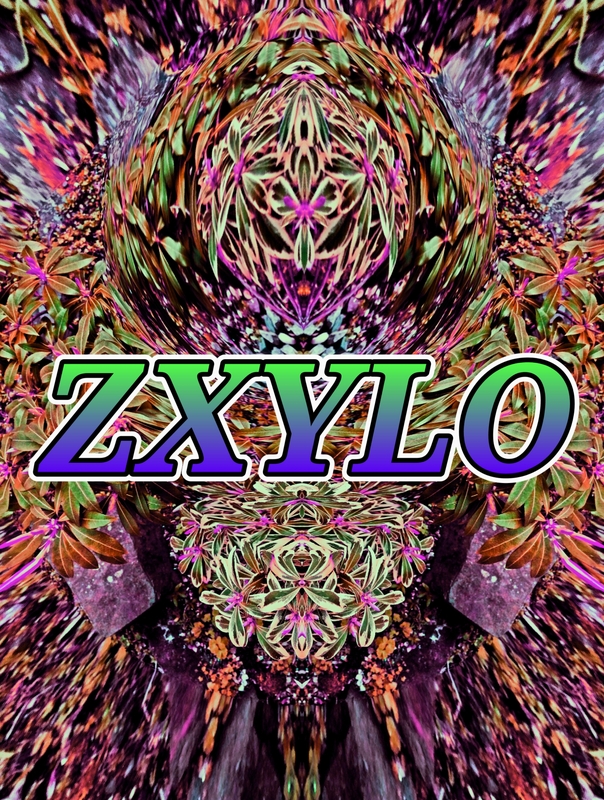 And here it is; the world premier of Zxylo which, I admit, doesn’t even start with an X, but I prefer it this way. CLICK THIS LINK TO PLAY AND/OR DOWNLOAD FOR FREE! 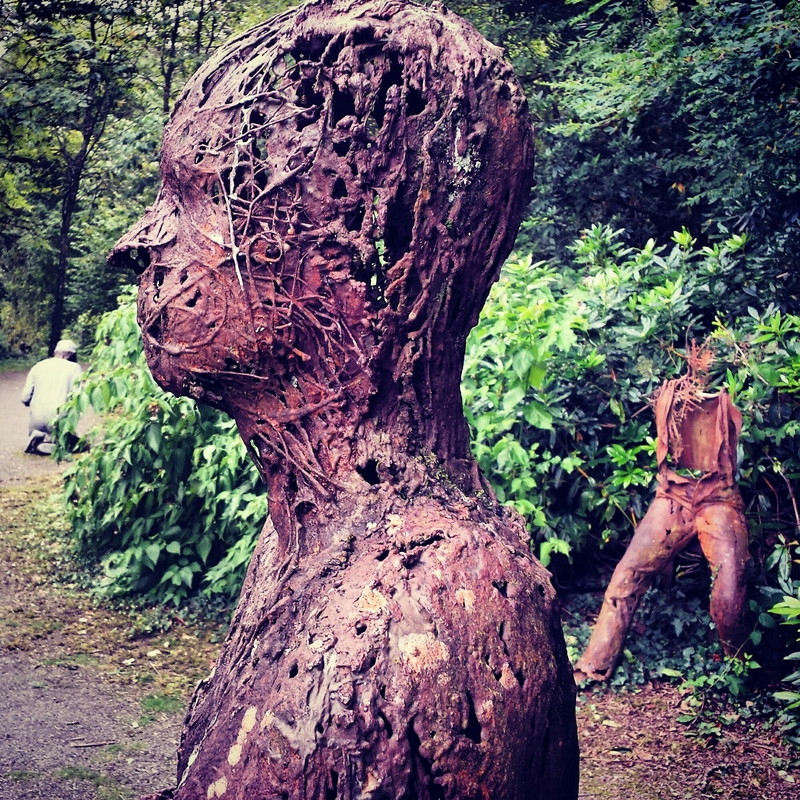 So, the second half of the A-Z challenge begins today and after my nonsense post on Saturday, I was chatting to my old friend Ho about my idea for today. The conversation was slightly peculiar, given that we were communicating via text, in language that was inspired by the aforementioned nonsense, resulting in him asking me, for instance, whether my post was “smerdling like a snonk scollog” and congratulating me on it being “froodacious”. But enough of that nonsense, let’s get to O.
Oscilab is the synthesizer/sequencer/drum machine app that I use to create the one-off, improvised soundscapes that I have recently been uploading to my lovely new Bandcamp page (see link below) and today’s theme of the singular circular sigil was the perfect opportunity to play around with some more sonic noodling, which I did yesterday. What unique musical moniker could I saddle my marvellous melodic masterpiece with? See? I couldn’t pass that up, could I? 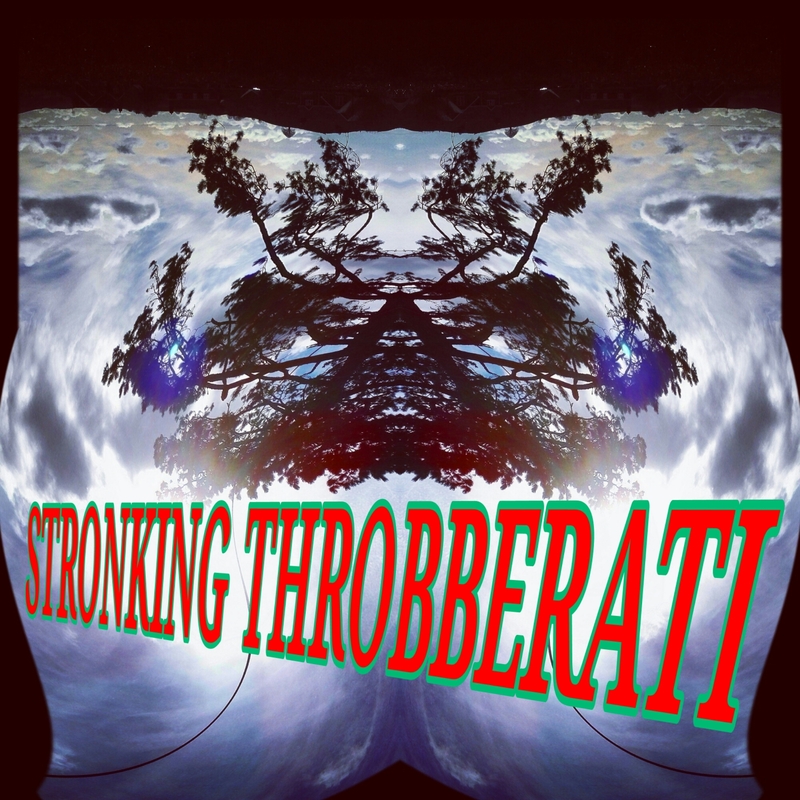 So, despite the conspicuous lack of actual throbbing (although there may well be some stronking, who knows?) I have great pleasure in presenting another slice of twinkly, swirling loveliness, which may well be popular with those of you who downloaded my previous tune and remarked on its suitability for accompanying everything from writing to Tai Chi. CLICK HERE TO LISTEN OR DOWNLOAD FOR FREE! When I published One liner Wednesday today, I was delighted to receive a notification from WordPress, informing me that it was my 500th post on Diary of an Internet Nobody! In a little under 4 years, the blog has had 62,700 hits, it’s been visited by 34,000 of you lovely people and has gained 558 of you as followers. 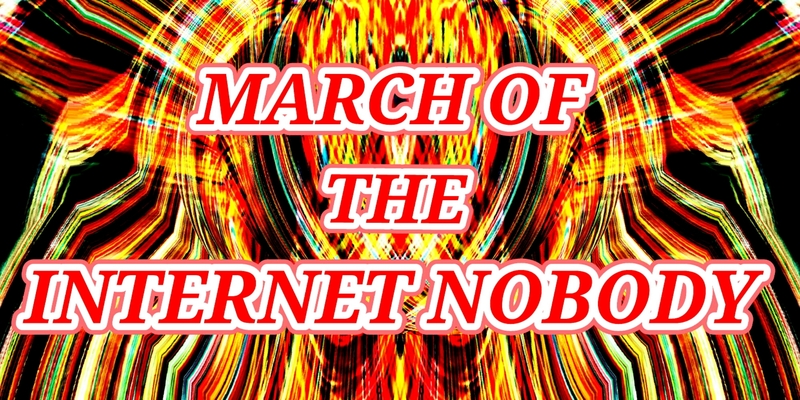 I’m extremely proud of my little corner of the internet and, despite not having had the slightest idea what I was doing when I started my adventure in the blogosphere, I believe that I’ve just about got the hang of it now and I’m enjoying it more every day. Looking at those numbers, I’m quite frankly astonished that so many of you think my rants, musings, stories and ramblings are worthy of your time, so I’d like to take this opportunity to thank you all for accompanying me on my journey of exploration, discovery and improvisation. Not only that, but I’m also rather pleased that I’ve managed to stick to my original mission statement; having no discernible theme, producing everything you see on the blog with nothing but a smartphone (and occasionally a tablet) and including as much original content as possible (including, but not limited to; general nonsense, opinion, fiction, photography, video, animation and music). But that’s not all. Now I have three blogs to keep me busy; Diary of an Internet Nobody, the sci-fi collaboration, Starship Gypsies and my photographic blog, Photo Sans Frontiers, along with the other regular features I participate in, such as the aforementioned One liner Wednesday and Stream of Consciousness Saturday. Speaking of which; I am about to embark on a new participation feature, namely The A-Z Blogging Challenge, which starts on Friday and continues throughout April. That should be interesting, given that I have nothing prepared for it whatsoever. So, to celebrate this, my 501st post, here’s the latest musical creation to make it onto my lovely new Bandcamp page; a serene little number that may well be the most melodious attempt to date, which I have called, for no good reason (other than the fact that it’s quite floaty) “Glydr“. Click the big red link below to listen to it in all its chilled-out gorgeousness. Thanks again for all your support, here’s to the next 500 posts. In the last couple of months, I’ve been drawn back to my electronic music making gadgets; first producing a tune to celebrate Just Jot It January, then remixing it, which got me inspired to experiment with loops, sequencers and drum machines again. I’ve made two new tracks since then, one of which I made a very basic video for, (since SoundCloud stopped their mobile upload service) just so I could get it online via YouTube. After that, I decided to check out what other free music upload platforms were available, because I’m not planning on making any money from doing it, it’s just something that entertains me, like this blog, and I don’t see why I should pay to post music I’m not selling. By happy coincidence, I was idly scrolling through my Tumblr feed and came upon a post from Delorme, a Canadian musician with a very tasty line in retro synthscapes and an extremely helpful and friendly chap too. He recommended that I try ReverbNation or Bandcamp and having done a comparison, I chose the latter. Before I go any further, I should plug the man who advised me so astutely to pick my new musical home, the wonderfully talented Delorme. Here’s his website – Check it out. 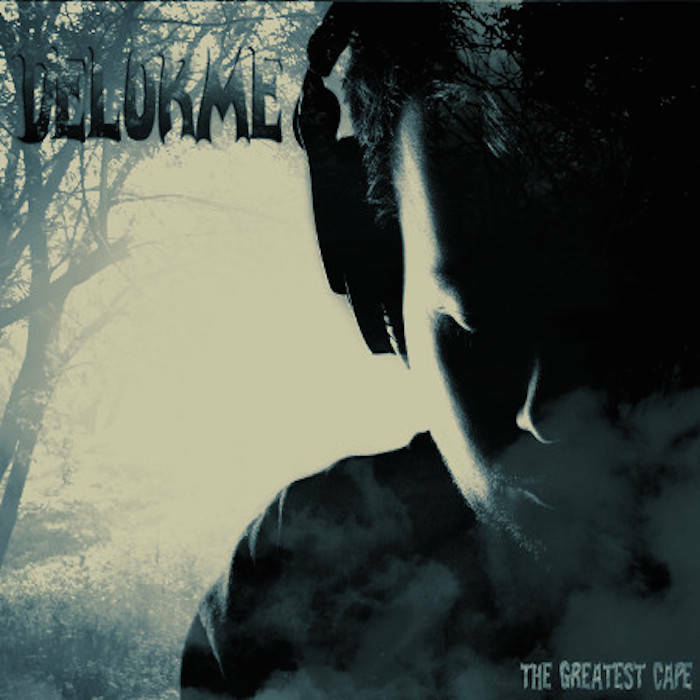 Here is a link to his Bandcamp page where you’ll find his fabulous new album, The Greatest Cape, check it out and buy a copy if you like it (I already purchased my copy and it really is excellent). Ok, let’s get to my own sonic output. 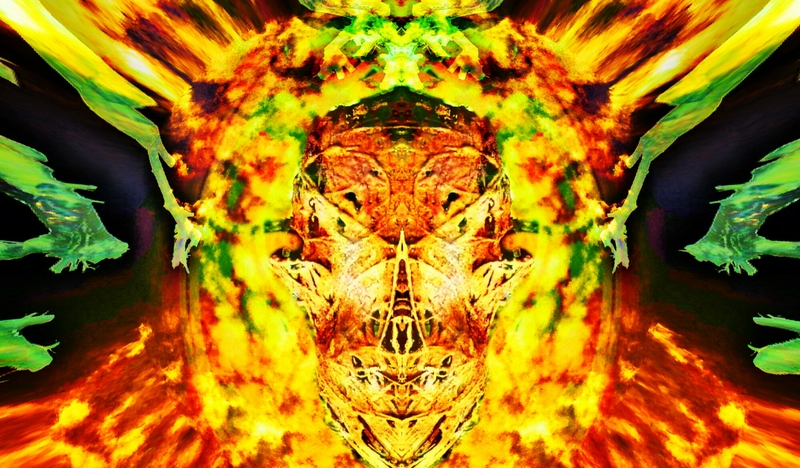 I’ve been making strange electronic sounds, the most recent of which very nearly qualify as actual music, for about three years and, although I’m no more musical than I was when I started, I have got the hang of manipulating technology and, by extension, sound. The fact that I’ve been listening to, and obsessed with, music for my whole life probably helps too, I suppose. Each of my improvised audio snippets has been uploaded to my free SoundCloud account in the past, where they sit, lonely and unlistened-to, except by faithful guinea pigs like Ho and occasional blog readers who stray onto my Sound and Vision page. So now there is somewhere that you can listen to the more melodic of my offerings and, if you so wish, download them, for free. I have uploaded 10 of my personal favourites (including Phasar, a new and unheard tune) to my shiny new Bandcamp page, which you can access BY CLICKING THIS LINK. Go on, pop over and have a listen, ogle the slick layout and sumptuous artwork, (some of which you may recognise) or better still, give yourself a little present, compliments of the original artist, yours truly, by downloading your favourite track, free, gratis and at no charge. And remember, each track is a completely unique one-off, composed, played and recorded in one take, with no post-production or edits. 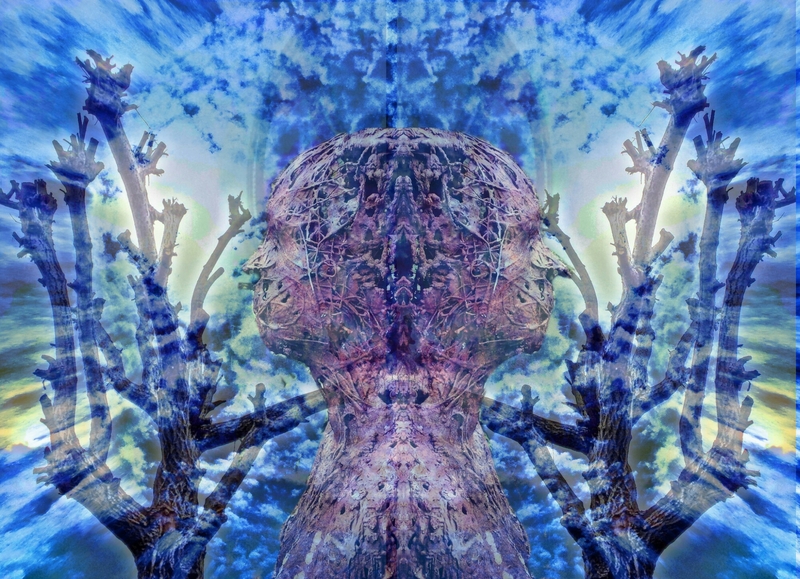 But before you go, I’d like to present a new video I made for one of the tracks available at the link above, Glacial Daze. 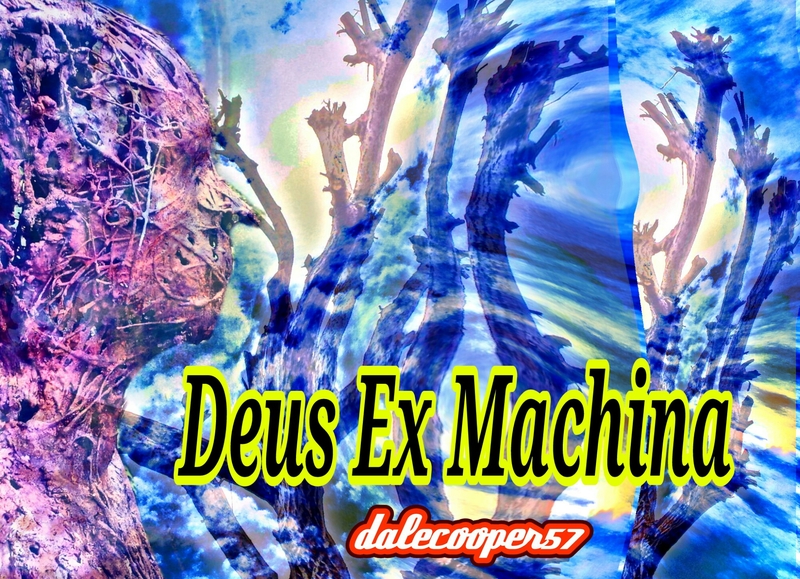 …and has even featured on the virtual cover art for my as-yet-unfinished sci-fi masterpiece, Deus Ex Machina. I then layered the effects over it, added the all-important soundtrack and…voilà!